constructive aspects of music in video games. New university students will hear warnings that they won't get much studying done if their room mate plays video games. But the opposite would be true if you roomed with Guillaume Laroche. The enchanting music of video games has been on the back of Laroche's mind for a while, and this summer he was given the opportunity to study it as part of a full-time research project. Laroche, a fourth-year undergraduate student pursuing a Bachelor of Music in Composition and Theory, was one of 15 Arts undergraduate recipients of the Roger S. Smith Undergraduate Student Researcher Award. The award provides undergraduate students the opportunity to conduct a 15-week research project. Over the summer, Laroche was conducting research on an area that is both unique and relatively unheard of - ludomusicology, the study of video game music from an academic perspective. "We can academically study film music and all sorts of other music, and I wondered why not this genre, especially since it is being composed with certain ideals in mind in terms of heightening game experience," said Laroche. Much of his initial work involved gathering and piecing together the minimal information he found in a few articles on ludomusicology. "There has been a lot of writing on the role of music in video games, but that has more of a sociological context." Laroche appreciates the funky selections heard in Grand Theft Auto but he is more intrigued by the way game music is created than how it's selected. "I'm more interested in the constructive aspects of the music - how it is built as opposed to how it is used," he said. His research this summer uses the well-known video game The Legend of Zelda as his primary subject of study. 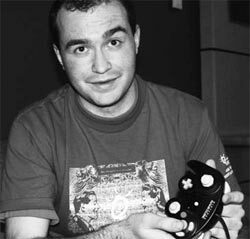 Having played the game over the years, Laroche was interested in examining how its music had evolved over time and across technological eras for gaming. "I realized that some of the themes are being re-used and transformed, but I wanted to know more about the processes behind those transformations and how those transformations relate to composers," he explained. Laroche also spent a great deal of time developing the scores for the music in The Legend of Zelda that were originally composed by Koji Kondo - the Japanese composer and musician best known for his work on various other Nintendo games, including Zelda and Super Mario Brothers. "Contrary to most traditional music, you can't go to the library to check out the score for video games. From a music theory standpoint on which a lot usually depends on score analysis, that was a real challenge. What I had to do was develop scores by myself for the entire repertoire that I'm taking a look at." Laroche found the MIDI (Musical Instrument Digital Interface) sound files of The Legend of Zelda in online databases, and using software transformed them into scores. Having examined the music, he found some interesting facets to Kondo's compositions. "What really surprised me was the breadth within history of where he is drawing inspiration for variation technique because there are things that you can clearly trace to Renaissance madrigal writing. It's all over the place, and that was kind of surprising. I was expecting him to take after a particular set of defined influences," Laroche said. Laroche says he's had a great experience being an undergraduate student researcher, and has learned a lot about the research process - including how time-consuming research can be. He plans to go in to graduate studies in the future, and may continue further research on the subject. He already has ideas for other areas he'd like to look at, including the use of environmental music or sounds within video games. In speaking to the importance of ludomusicology, Laroche is quick to point out its merits as an area of study. "It reveals a lot about contemporary composition techniques in a field that is rapidly gaining a lot of popularity. There is a lot more video game music than there was 20 years ago, and by the looks of it that's not going to change. It's another aspect of understanding human culture."